Thanks to many years of experience and thorough research, Ecomega has developed a new set of L5 ROCK 5 tyres that would meet all the needs you might have to perform your OTR / Earthmoving operations in the best way possible. Ecomega L5 ROCK 5 tyres for OTR / Earthmoving vehicles offer all the best features you have wanted to see in a set of innovative tyres. Maximum stability, highest performance and reliability are guaranteed anytime and anywhere, even while operating under the most difficult conditions around the world. Thanks to its highest expertise, Ecomega has engineered a set of L5 ROCK 5 tyre for OTR / Earthmoving vehicles that you can rely on at anytime and anywhere, even during the most challenging operations. 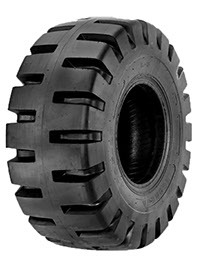 Ecomega L5 ROCK 5 tyres for OTR / Earthmoving vehicles offer a highly improved tread design. Thanks to the extra – deep tread and robust casing, Ecomega L5 ROCK 5 tyres guarantee maximum efficiency and reliability, even while operating on the roughest terrains around the world. Thanks to their robust tread design, Ecomega L5 ROCK 5 tyres for OTR / Earthmoving vehicles guarantee exceptional resistance to cuts and other sorts of accidental damages anytime and anywhere, even while operating on the toughest surfaces. Ecomega L5 ROCK 5 tyres for OTR / Earthmoving vehicles also feature innovative shoulder protection ribs that improve reliability and stability of L5 ROCK 5 tyres in all circumstances Maximum resistance and reliability are guaranteed anytime and anywhere. Ecomega L5 ROCK 5tyres for OTR / Earthmoving vehicles ensure maximum comfort for the operator, by efficiently absorbing all sorts of vibrations and noises during different earthmoving operations. Your earthmoving vehicles have never been as efficient and safe, thanks to Ecomega L5 ROCK 5 tyres. Ecomega’s experts have designed a new set of L5 ROCK 5 tyres for OTR / Earthmoving vehicles that guarantee exceptional performance and maximum stability at anytime and anywhere.